The Editors of the International Sports Law Journal (ISLJ) invite you to submit abstracts for the third ISLJ Annual Conference on International Sports Law, which will take place on 24 and 25 October 2019 at the Asser Institute in The Hague. 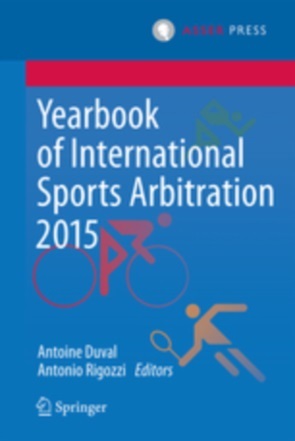 The ISLJ, published by Springer and Asser Press, is the leading academic publication in the field of international sports law. The conference is a unique occasion to discuss the main legal issues affecting international sports with renowned academic experts and practitioners. Kimberly Morris (Head of FIFA Transfer Matching System (TMS) Integrity and Compliance). Please send your abstract of 300 words and CV no later than 30 April 2019 to a.duval@asser.nl. Selected speakers will be informed by 15 May. The selected participants will be expected to submit a draft paper by 1 September 2019. All papers presented at the conference are eligible (subjected to peer-review) for publication in a special issue of the ISLJ. To be considered for inclusion in the conference issue of the journal, the final draft must be submitted for review by 15 December 2019. Submissions after this date will be considered for publication in later editions of the Journal. The Asser Institute will cover one night accommodation for the speakers and will provide a limited amount of travel grants (max. 250€). If you wish to be considered for a grant please indicate it in your submission. Editor's note: In the coming days we will introduce the supporters of our upcoming ISLJ Annual International Sports Law Conference 2018 (also known as #ISLJConf18). To do so, we have sent them a tailored questionnaire aimed at reflecting both their activities and their expectations for the conference. It is a good opportunity for us to thank them for their enthusiastic support and commitment to international sports law research. We are very happy to continue this series of interviews with LawInSport, a knowledge hub and educational platform for the community of people working in or with an interest in sport and the law (many thanks to LawInSport's CEO Sean Cottrell for kindly responding to our questions). 1. Can you explain to our readers what LawInSport is about? Our objective is to help people ‘understand the rules of the game™’. What does this mean? It means people in sport having access to information that enables them to have a better understanding the rules and regulations that govern the relationships, behaviours and processes within sports. This in turn creates a foundation based on the principles of the rule of law, protecting the rights of everyone working and participating in sport. 2. What are the challenges and perks of being an international sports law 'reporter’ ? I do not consider myself a reporter, but as the head of an organisation that has a responsibility to provide the highest quality information on legal issues in sport, focusing on what is important and not just what is popular, whilst trying to stay free from conflicts of interests. These two issues, popularism and conflict of interest, are the two of the biggest challenges. Popularism and the drive to win attention is, in my opinion, causing a lack of discipline when it comes to factual and legal accuracy in coverage of sports law issues, which on their own may seem harmless, but can cause harm to organisations and individuals (athletes, employees, etc). 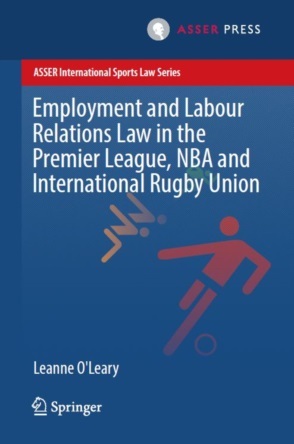 Conflict of interest will obviously arise in such a small sector, however, there is not a commonly agreed standard in internationally, let alone in sports law. Therefore, one needs to be diligent when consuming information to understand why someone may or may not hold a point of view, if they have paid to get it published or has someone paid them to write it. For this reason it can be hard to get a full picture of what is happening in the sector. In terms of perks, I get to do something that is both challenging and rewarding on a daily basis, and as a business owner I have the additional benefit of work with colleagues I enjoy working with. I have the privilege of meeting world leaders in their respective fields (law, sport, business, science, education, etc) and gain insights from them about their work and life experiences which is incredibly enriching. Getting access to speak to the people who are on the front line, either athletes, coaches, lawyers, scientists, rather than from a third party is great as it gives you an unfiltered insight into what is going on. On the other side of things, we get the opportunity to help people through either having a better understand of the legal and regulatory issues in sports or to understand how to progress themselves towards their goals academically and professionally is probably the most rewarding part of my work. 3. What are the burning issues in international sports law that you would like to see discussed at the conference? Effective international safeguarding in sport. 4. Why did you decide to support the ISLJ Annual International Sports Law Conference? We support ISLJ Annual International Sports Law Conference as it is a non-profit conference that’s purpose is to create a space to explore a wide range of legal issues in sport. The conference is an academic conference that does a great job in bringing a diverse range of speakers and delegates. The discussions and debates that take place will benefit the wider sports law community. Therefore, as LawInSport’s objective is focused on education it was a straight forward decision to support the conferences as it is aligned with our objectives.